If you want to take a look at the new little bundle of fluff that's been taking up so much of our time lately....introducing Crumbcake! He's a 4 month old Shih Tzu puppy that is s full of love & energy it's pawsitively exhausting. We love him dearly (even if the cat doesn't! Here's a quickie page I put together of him from when he first came home plus a little video of him playing with Curly Cat! Christmas in July card class! Peace, hope, and love -- couldn't we all use a little more? 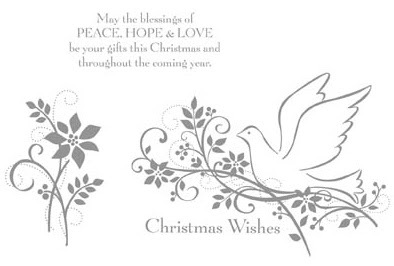 Spread these three gifts to all your loved ones this holiday season with a handstamped card. You can get started early with my "Christmas in July" classes this week. Come hang out at the (air-conditioned) studio and think cooooool thoughts! You'll be glad to get the jump on the craziest time of the year, and leave with 5 beautiful cards. Coming next week - Christmas in July!!! 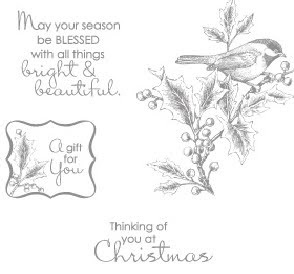 Want to get a head-start on the holiday rush and start your Christmas Card making early? 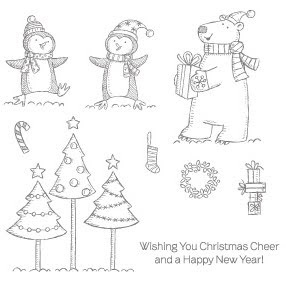 It's time for my always popular "Christmas In July" card class! COST: $25 for class, $20 for team demonstrators which INCLUDES special free product give-away. Make a 2nd set of cards for only $15 more. Get your class for FREE with a $60 order placed at the class! Some of what we'll be using: the brand new Polar Party set, several of the new yummy ribbons (new ribbon shares coming too!) and the 5 new In Colors for the 2011-13 seasons!! Time sure flies when you're having fun, or at least that's what I'm telling myself as Big Shot Brent and I celebrate 17 years together today! What do you think -- should he be getting a love card today, or a congratulations for making it this far one??? hahahaha! Here's how you get the centre image like the one on this card: sponge Classic Stampin’ Ink over an image you’ve already stamped in VersaMark and then heat-embossed with Clear Stampin’ Emboss Powder. Then create a mask area using a Post-it Note or something similar to cover up the stamped butterfly image, and you're ready to over-stamp it using the En Francais background stamp. Remove the Post-it and you're all set! 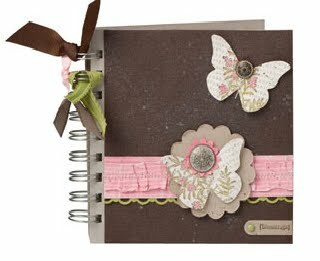 This sponging & masking will really pop the butterfly pop up from your card. Unique backgrounds really make your cards stand out. Luckily for us, Stampin' Up! 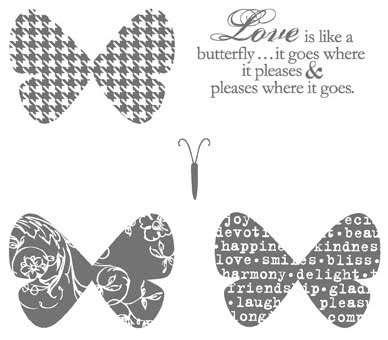 has a variety of different styles of background stamps to choose from! 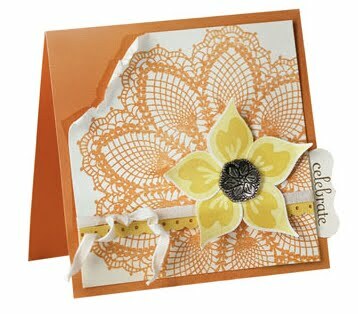 This Celebrate card uses our gorgeous Hello, Doily Background Stamp for a look that's bold -- and trendy! If you're looking for a hint as to how the ribbon on the card got all fun and loopy? Try using your heatgun on different ribbons and see what happens. Just be careful not to burn it! Our Brights Patterns Designer Series Paper ruffle adds dimension and personality to this blessings journal. 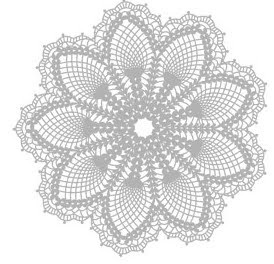 You'll find that adding paper ruffles is a fun and easy way to add interest to almost any project! In this beautiful card, the Curly Label punch was used to create a frame for the watercoloured image. Some Pearl Basic Jewels added the perfect finishing touch! Happy July everyone, isn't it a beautiful Saturday? COST: $25 for class, $20 for team demonstrators which INCLUDES special free product give-away. Make a 2nd set of projects for only $15 more! Get your class for FREE with a $60 order placed that day. Please note, there will be NO Canadians, INK! team events this month due to the summer holidays and Stampin' Up! Convention in Utah. The Classes & Events page will be properly updated next week with all August dates so please watch for that! Stampin' Up! 's Textured Impressions Embossing Folders for the Big Shot machine create a strong, embossed image on single layers of card stock and Designer Series Paper -- and add instant depth, dimension, and interest to your projects. 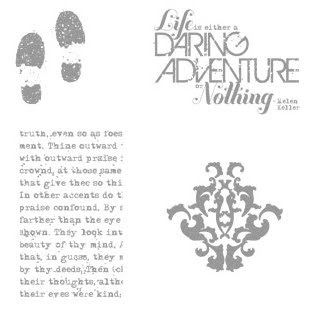 This Adventure card was created using the intricately detailed Vintage Wallpaper folder; isn't it great? 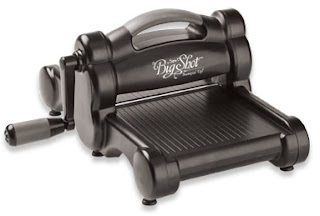 Friends, Fun, and Fabulous Products for $119! 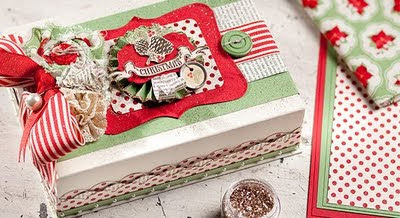 Plus, join in July and get a FREE Christmas Keepsake project kit--a $50 value! 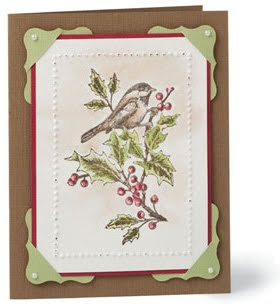 •Holly Berry Designer Series Paper piece* *From the 2011 Holiday Mini Catalogue! 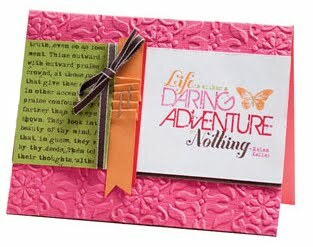 Imagine an afternoon spent chatting with friends while creating something beautiful--isn't that what Stampin' Up! is all about? But act now because this special kit is only available as part of this limited-time offer. Join Stampin' Up! in July and get brand-new products, including an exclusive project kit--all for just $119! Contact me to get started today or sign up online HERE!